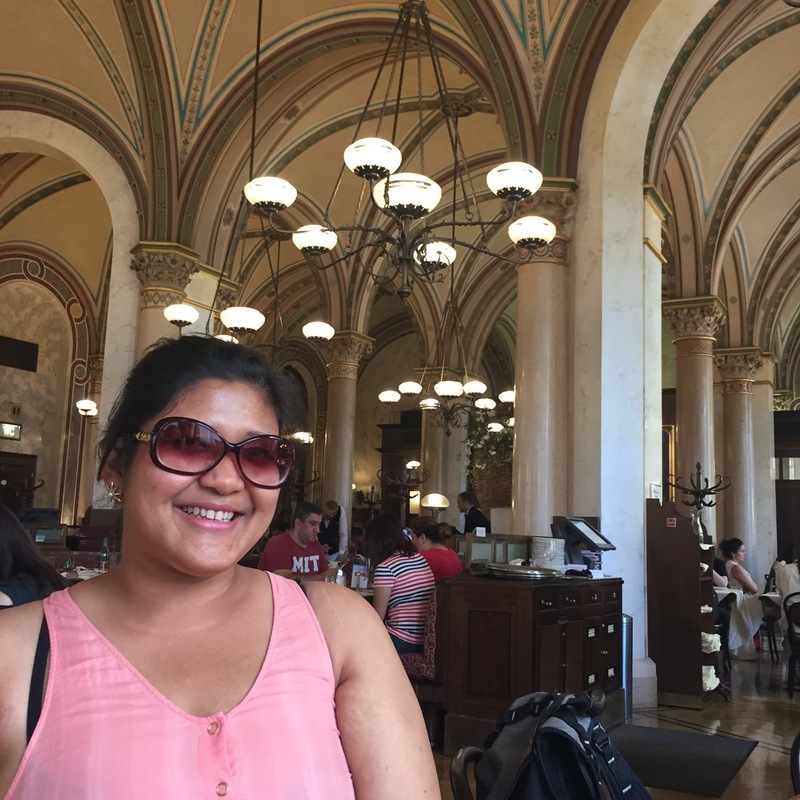 On a sunny August afternoon, me and my friends decided to take a touristy detour in vienna. 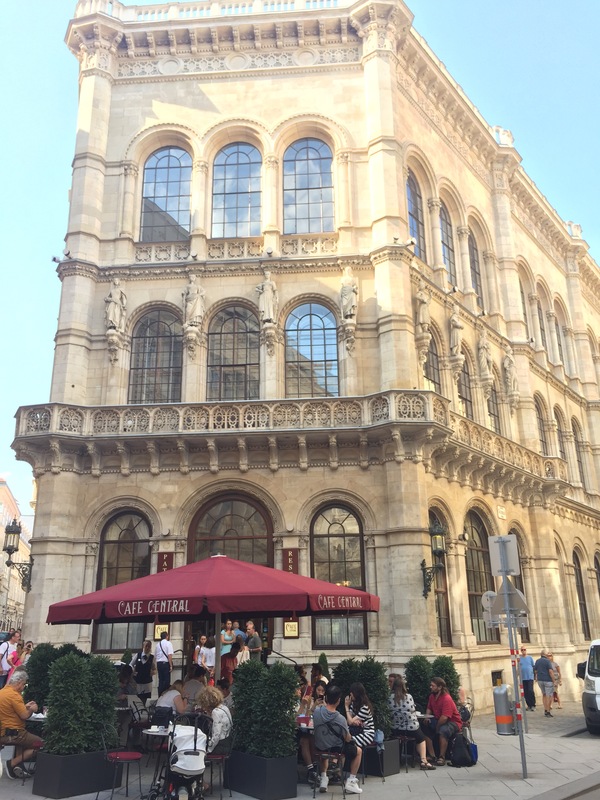 Putting on my shades, I sat on previously reserved seat at one of UNESCO’s heritage places, Cafe Central. We smiled proudly because we booked a table before hand which made us skip the queue. Something you need to do, when planning to go this cafe. I ordered Viennese coffee and wiener apfelstrudel. Those orders were placed after having decision-making struggles of their wondeful selection of cakes. 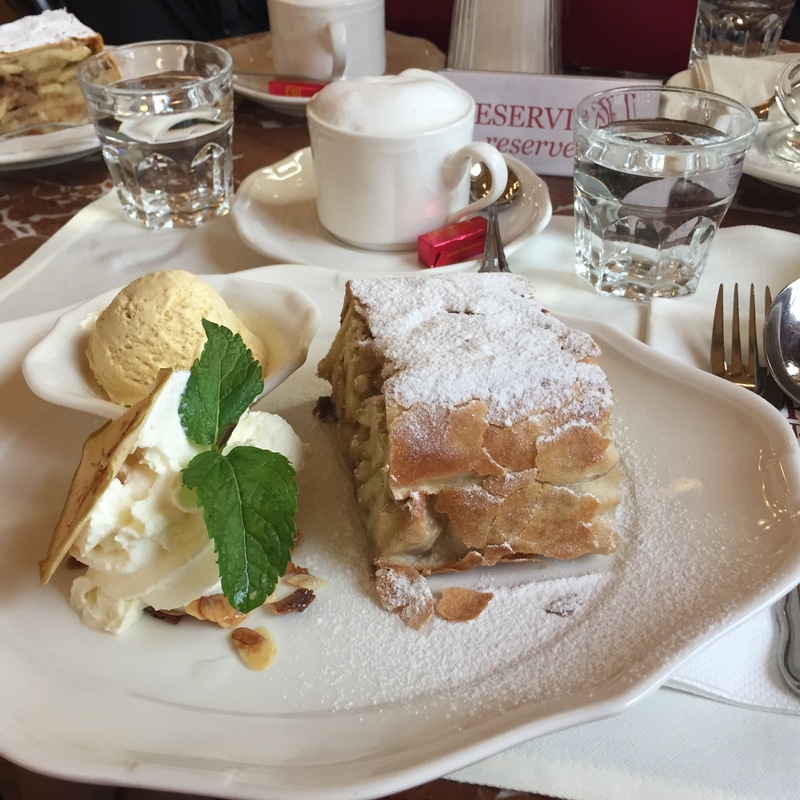 I sticked to their old-fashioned wiener apfelstrudel which differed from “just” apfelstrudel in the serving of ice cream or sauce and whipped cream. While waiting for my order to be served, we tool some pictures with the beautiful interrior of the cafe. The coffee was delicous. Though, it was rather served in a small cup. The apfelstrudel was massive. I could not finish it. The apple was rather sour to my taste. So, I was glad to have ice cream and whipped cream on the side. We spent around an hour there before continuing out Vienna sightseeing.